This photo was taken whilst going towards Kallergi with snowshoes. 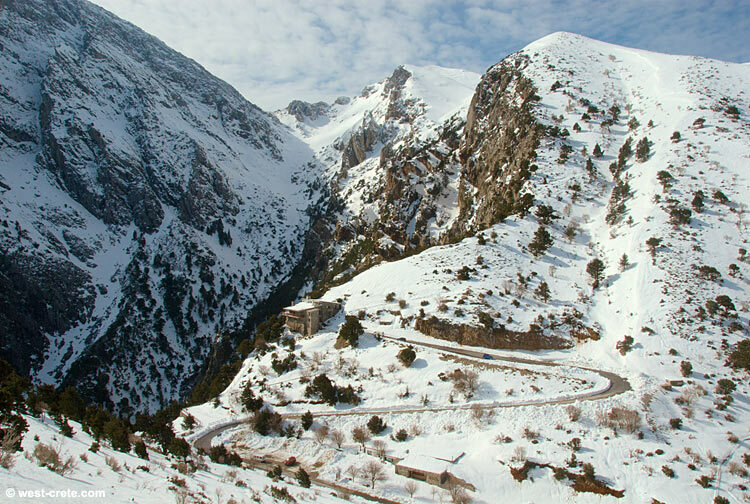 Right below, under a thick layer of snow you can see the snack bar located at the entrance of the Samaria gorge. The car park (where all the buses drop off tourists in summer) has been partially cleared of snow and my car is parked on it. At the very end of the road is the café that overlooks the gorge of Samaria. It is also open (most days) in the winter time.